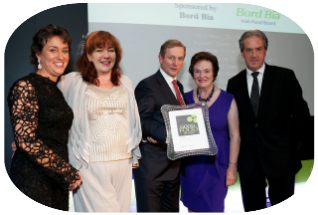 March 2015 Food provenance and authenticity were top of the agenda at this year’s Irish Food Writers’ Guild Food Awards. WILD about was thrilled to be presented with the 2015 Award. 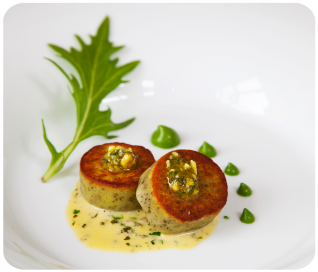 The Irish Food Writers' Guild celebrated with a lavish meal at the Michelin Starred L'Ecrivain Restaurant, designed and served by the incredible chef, Derry Clarke. WILD about was honoured by the Guild for the high standard and impeccable quality of our products, as well as for our unwavering dedication, devotion and commitment to Irish food. Special mention was also given for sustainable practices and techniques. Just off the ferry from the BBC Good Food Show in the Olympia, London, we limped our way into our glad rags and off to the Shelbourne Hotel for the Good Food Ireland Awards. 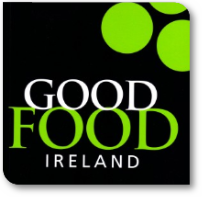 Margaret Jeffares and her team at Good Food Ireland are a powerforce in promoting and supporting the best of what we, as a nation, have to offer. We were delighted to have been nominated for Producer of the Year, but in such awesome company, it was a safe bet we'd hit the bar and have some craic! And indeed that we did in the wonderful company of Rachel & Philip of Tinahely Farm Shop, the effervescent dynamo of Paul & Siobhan of the Foods of Athenry and the very beautiful Kate O'Hara of Kate's Kitchen in Sligo. . . The night was marked by a quite unbelievable event, not merely the blazingly good company, nor the world class food, not even how remarkably funny Enda Kenny was. . . the night stands out because, quite remarkably, the Producer of the Year 2013-14 was called as WILD about. . . .. . OMG ! 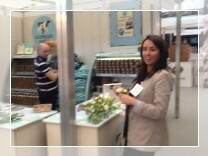 What a shock, as evident from the head on Fiona in the press shots! The windscreen was cracked with ice and you couldn't fit a wafer thin mint in the back of the Wild About van as we left the rural tranquility of Monamolin, setting out for our old stomping ground in Old London Town. 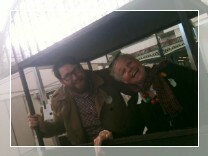 Equal measures of fear and excitement as we headed for our biggest adventure yet, trading at the BBC Good Food Show at the Olympia, London. Slightly daunting setting up in the vast vacuum that is the Olympia, but soon enough we found our feet as our fellow countrymen came out in force! Yay! 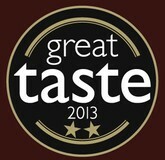 Great Taste is the largest and most trusted awards scheme for speciality and fine food & drink from across the UK and Eire. Every entry is blind-tasted by panels of specialists, top chefs, cookery writers, food critics, restauranteurs and fine food retailers judging on texture, appearance, quality of ingredients, how well the producer has put the product together, but above all, a truly great taste. 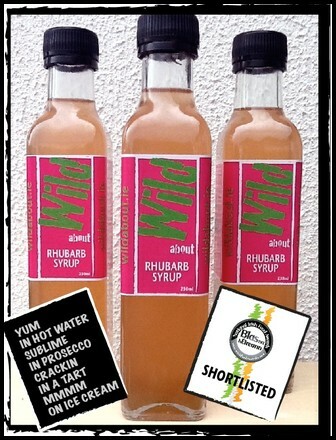 Products deemed worthy of of a star are judged again by a further two panels of judges. Only when a consensus is achieved are stars awarded. "Wonderful rhubarb aroma and a fresh, natural appearance. Would also be useful as an added ingredient to a pudding or to drizzle over vanilla ice cream. 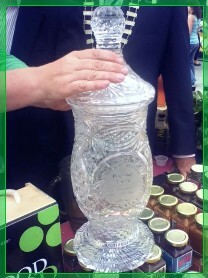 to sample the best of Irish produce in the ALL IRELAND FARMERS' MARKET COMPETITION. The annual event, hosted at the Wexford Strawberry Festival, was established to recognise the vital role Farmers' Markets play in supplying fresh, locally produced foods, and to create a showcase for distinct regional speciality foods available throughout Ireland. The competition is open to exhibitors from Farmers' Markets across the 32 counties. 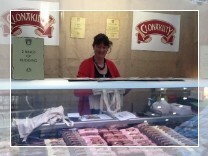 Quality Irish traders from all over Ireland, such as Butler's Ice Cream, Dungarvan; Foods of Athenry, Galway : Ballyhoura Mushrooms, Cork; and The Organic Herb Co., Wicklow came to showcase their wares to the great and the good at the Strawberry Festival, Enniscorthy, Co. Wexford. 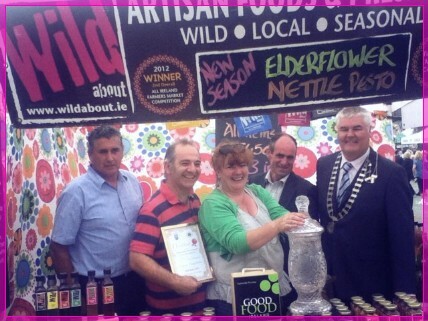 It was amazing to see so much quality Irish produce on show, even more amazing when we found out WILD about scooped the FIRST PRIZE !!! We're absolutely Buzzing! 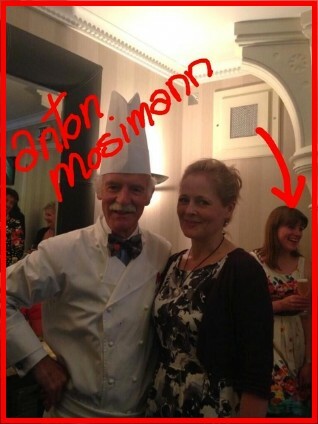 None other than the legendary Maitre Chef des Cuisines, Anton Mosimann, chose WILD about Rhubarb Syrup for his welcome aperitif for the Good Food Ireland UK launch at Mosimanns, Belgravia.